We cultivate several fruits in addition to wine grapes, such as apples and cherries. 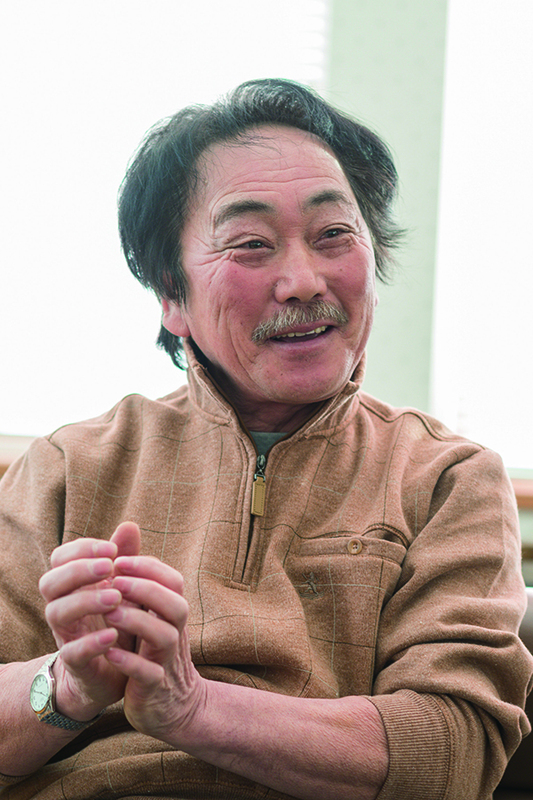 My father was one of the first farmers to grow wine grapes on a full scale in Yoichi. Now we supply our grapes to six wineries, including Hakodate Wine Co., Ltd., with which we've done business since my father's time. Sometimes I feel it's hard to meet the requests of each winery but it's great to know that our grapes will be made into all kinds of wines. Our dream is to try new cultivation methods. Since there's no one correct cultivation method, we strive to cultivate grapes according to climate and topography. In addition, our farm is high up and boasts fine views. We'd love to introduce these grand vistas to as many people as possible. We cultivate mainly Pinot Noir, the classic variety of Burgundy, France, from plants we inherited from our father. Pinot noir is prized for its well-balanced acidity and tannins, as well as for its rich bouquet. Although Pinot noir yields tend to be somewhat smaller than those of other varieties and the grape is notoriously difficult to grow, we tailor its cultivation to the climate, following know-how we've developed over the course of many years. We're most careful just before the harvest, because this is when the grape is the most prone to damage. We go to the farm to check the conditions of the grape, and we sometimes remove the withered flowers in bunches by hand. We hope you all enjoy the taste of a grape that's charmed us and our predecessors, one that we've cultivated with the utmost care. We started cultivating wine grapes about 30 years ago. When we were looking for produce that could replace apples (then the town's main industry, but an industry in decline), we met wonderful acquaintances associated with wine grape cultivation, and we began growing those grapes. We've visited Europe many times to learn how to tend the fields. 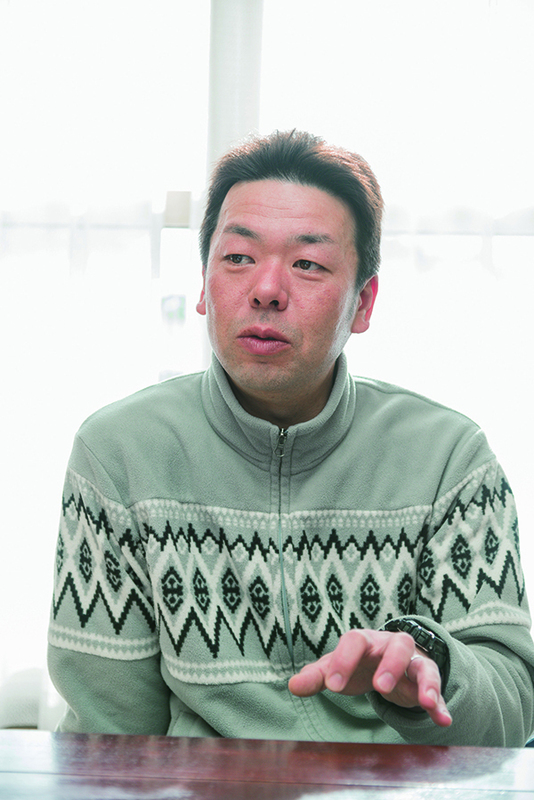 We've contract with Hokkaido Wine to cultivate grapes in compliance with the company's requests. Recently, people's attitudes toward wine have really changed; wine drinkers have become more numerous, and their tastes have broadened. But one thing never changes: our policy of growing the finest grapes. We work hard every day to cultivate grapes while considering the winery and all those who love wine. 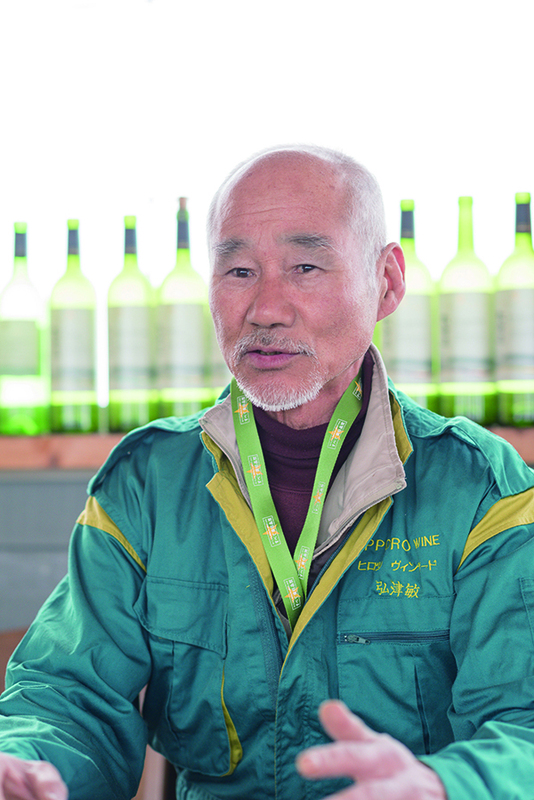 We're storied wine grape farmers in Yoichi, having begun cultivation around 1958. We raise mainly Bacchus, and we've recently been trying our hand at growing the Chardonnay and Merlot varieties. The quality of grapes largely depends on the soil, so before the plants are even in the ground, we prepare soil of a quality suited to grapes. In addition, although weed-killers used to be spread around the young plants, now we dare to let weeds grow to improve drainage during the harvest season. 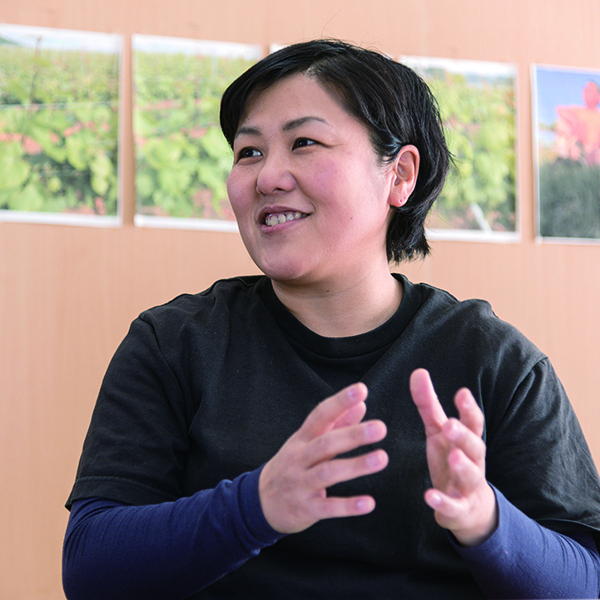 We're delighted that the grapes and wines produced in Yoichi have gained acclaim, but reputation shouldn't be transitory. To avoid short-lived fame, each farmer needs to change his or her way of thinking. We used to farm apples, but we began cultivating wine grapes in 1989. Our main variety is Kerner, which originated in Germany and which we grow under contract from Sapporo Beer. It's very hard to cultivate 8 ha of fields. We strive to maintain the quality of the product by effectively combining machine work and manual labor to create high-quality soil. Wines made from our grapes have been awarded various prizes domestically and internationally. My son took charge of the farm this year, and I intend to work with all three of my family members to deliver delicious products to many people. This farm was established in 2014 as an agricultural corporation of Camel Coffee Co., Ltd., which operates Kaldi Coffee Farm, a retail chain that sells coffee beans and imported foods and wines. Based on motto "Do you love the Earth?" the wine grape production at Camel Farm was begun under the concept of "Women are shining and growing a dream: the sun." 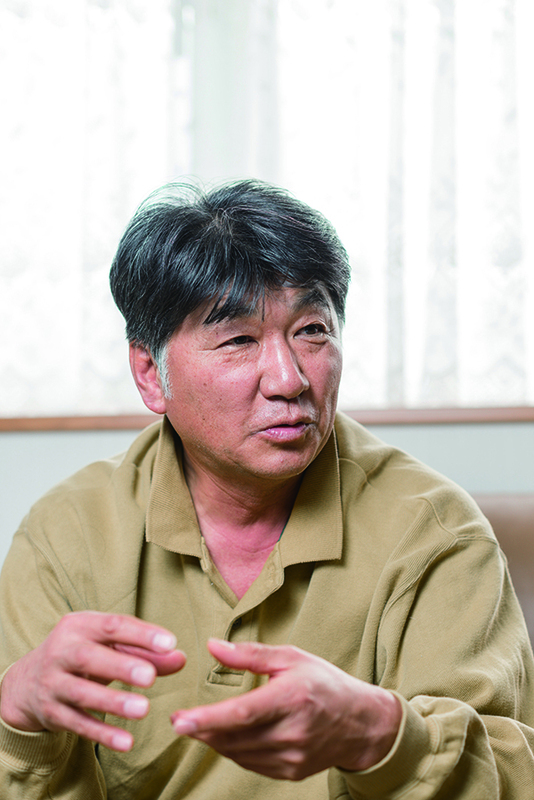 We've inherited wonderful fields that were cultivated for 30 years by the former head of the farm, Takeshi Fujimoto, and we get advice from him on their cultivation. 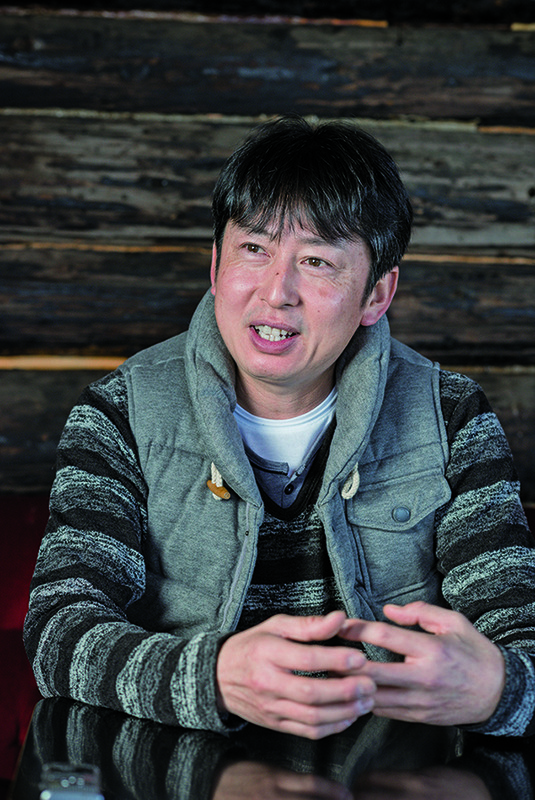 In addition, Riccardo Cotarella, the chair of the Italian Brewers' Association, with whom we're good friends through Kaldi Coffee Farm, has been invited as a consultant on how to cultivate better grapes and how to make Japanese wine that will one day achieve global acclaim.